All partners at the meeting including NHS England, Walsall’s Clinical Commissioning Group, Health Watch Walsall were telling us the same thing, compromises were having to be made. Many of you have said just how important the NHS is to you. But it is just one cog in a complex wheel. Something the Government fails to recognise. As welcome as the extra funding announced recently is, it is not enough, and it does nothing to address the effects of Government cuts to all local council budgets. In Walsall those cuts in Government grant funding will have reached a staggering £200 million by 2020. The inevitable result of which has led to reductions in vital services such as Social Care and Children’s Services. The last thing that we need to hear is criticism from local MP’s particularly as the present incumbent for Walsall North in his previous role as Conservative Councillor for Streetly had to wield the axe when he delivered the Health and Social Care Budget as the cabinet member under the Conservative administration back in February 2016. The recent funding announcement by the Government for the NHS is a missed opportunity to secure its future. There is substantial evidence to support the fact that the funding increase will not match rising demand. In fact the new settlement is significantly lower than the 4.3 per cent annual growth that is needed just to keep up with that demand, let alone improve standards. Seven years of under-funding has left the UK unprepared for rising demand with below average numbers of doctors and nurses, a shortage of hospital beds, MRI machines, and CT scanners. There is now large gap between what the service is able to do and our health needs. The NHS has huge existing debts, which are hindering its ability to organise for increased future care needs and Hospitals are being hit with interest payments of up to 6% on loans from the government. The funding doesn’t arrive until next year. 2018/19 will be the most difficult year yet for the NHS during this Parliament and one of the most challenging in the 70 year history of our NHS. Funding for the Department of Health is set to grow by just 0.4 per cent equivalent to £508 million. The pressure on social care needs to be solved too. Pressure on social care is leading more people into the healthcare system. The Government have said that a they are expecting a Green Paper, which in any case just kicks the problem into the long grass as there have been many previous reviews already, meanwhile lack of funding and declining care options has led to 25% less people accessing adult social care. So what does all this mean to us here in the Black Country? One issue which always crops up is just how difficult it can be to get a GP appointment. Is it any wonder. Currently we have 765 GPs across the Black Country. We need 911 ( that’s 19% more) to cope with the demand. Since 2010 our GPs on average are seeing 26% more patients. During that time the number of Black Country GPs has risen by just 9%! What about our hospitals? Outpatients are up by 26% and Inpatients by 9% with emergency admissions up by 21%. Hospital staff numbers aren’t rising enough to cope with the rising need. The number of Hospital Doctors has increased by just 11.5% and Nurses, Midwives and Health Visitors by only 8.3%. There are also not enough hospital and community beds. Around another 300 are needed to bring us up to the standard of our European neighbours. 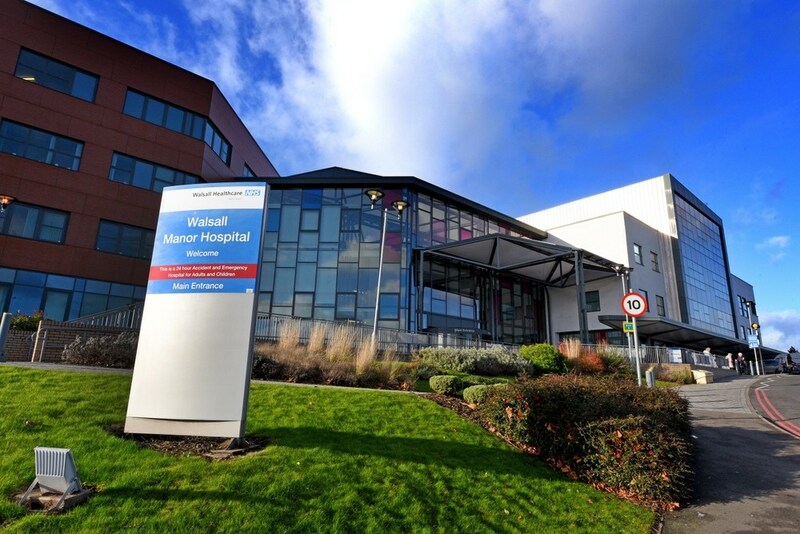 Walsall Healthcare NHS Trust faces a predicted deficit of £24 million so even if it wanted to employ the staff it needs and open up the beds we need in our community, it can’t. It just hasn’t got the money. The longer-term objective must be to bring together NHS and social care into one seamless service – pooling budgets in every area and developing integrated care. Those needing hospital care should have an agreed care plan for when its time for them to return home.